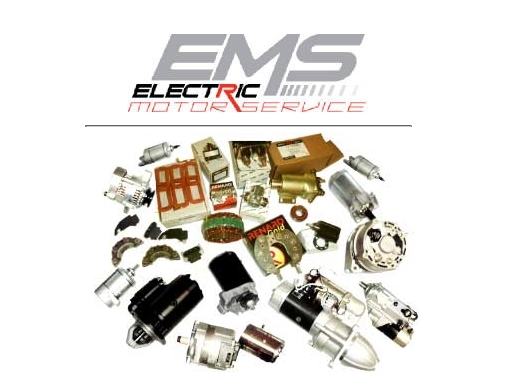 EMS Carrys a complete and full line of starters for small engine applications, We carry units and repair parts for Briggs & Stratton, Tecumseh Starters, Kohler Starters, John Deere Starters, OMC Starters, Yamaha Starters, Mercury Marine Starters, Seadoo Starters, Tiger Shark Starters, Kawasaki Starters, Polaris ATV Starters, Cushman Carts, Lincoln Welder Starters, Harley Davidson Starters, Honda Motorcycle & ATV Starters, Onan Starters, Personal Watercraft Starters, China Made ATV's Starters. EMS is pleased to announce there new Qwik-Order Website, You can check real time inventory, Place Orders, Do Drop ships, Start and add to a stock order, Choose the way you want it shipped, get tracking number on packages that where shipped, look up invoices and get copys of them as well, Check you account status, plus more. You must have a username and password to access this site, call today to get your username and password, and if you would like a one on one demo. EMS Now carrys the Bosch AL9962LH 200 Amp Alternator For School Bus Applications. This Is A Pad Mount Unit, Also We Carry A J180 Mount Part # AL9963SB, The Pad Mount 160 Version Is A AL9961LH, and the J180 Mount 160 Amp is a AL9960LH. Dual Internal Fans, Pad Mount, High Heat Operating Temperature (257Â°F), Internally Regulated, B2+ Terminal M6-1.9 Threaded, I & R Terminals M5-0.8 Threaded. The know how and proven quality of the Denso OSGR is now available for the heart and soul of the trucking industry, the class 8 trucks. The Bosch "Long Haul" alternators provide the necessary power for todays OTR fleets and independents while providing longer life and superior durability to outlast anything in its class.